Your old car is not the car it used to be. The engine struggles to turn over in the morning, driving up inclines is more of a challenge than in years past and you are fairly certain there is a leak in the oil system somewhere. You just need this car to stay running for another three years, and then you will have saved up the money for a newer model. In the meantime, you still have to do repairs when the need arises. To save money, you were considering putting used parts in your older car. While big box auto stores sell new and used parts, you can probably get a better deal on used parts at a local salvage yard. You might have to get your hands a little dirty pulling parts off an old junkyard car, but the savings you will obtain is usually competitive. One thing to consider, however, is a big box auto store will often provide a warrantee on their used parts. So, in certain cases it may be better to buy from a retail outlet. Typically, car parts fall into two categories. Either they add to the aesthetic appeal of the car, or they serve a functional purpose in how the car performs and operates. Typically, it does not matter so much if your used part is a perfect match when it comes to buying parts for esthetic purposes. However, you will need to worry far more about the quality of a used part if it is being purchased to improve or maintain the functional operation of the car. In some cases, the used part off of a different model car will work just fine in your old car. In other situations, you will not be able to swap out a used part from another car. Fortunately, the Internet is filled with websites and videos that can help you to determine when a swap is possible and when it is not. So, be sure to do your homework when purchasing used vehicle parts. Your old car is starting to show signs of needing more constant maintenance. If you keep buying all new parts for your old beater, then it may be more cost effective to just buy a new car. If you are not ready to make that transition yet, then replacing parts you need with used parts is a cost effective way to maintain your old car. As long as you get your used parts from a reputable dealer, chances are you will not have any serious problems. Transmission issues can be very dangerous. If your transmission fails completely while you’re driving, there’s the potential for a very serious accident to occur. But how do you know if there’s a problem with the transmission or if it’s something else? Here are a few tips on how to diagnose and fix transmission issues. Indications of a transmission problem would include leaking transmission fluid, the transmission overheating, not being able to move in forward or reverse, slipping gears, a clicking or whining noise, or delayed or erratic shifting. If the problem you’re noticing is different, it may not be the transmission. Depending on exactly what the vehicle is doing, you may be able to fix it yourself fairly easily. Add or replace transmission fluid if it’s leaking or overheating, flush or replace cooler lines, or replace the solenoid if it’s overheating. You may need to replace or repair gears, bands or clutch plates if you have no forward or reverse or the gears are slipping. If you’ve tried the easy fixes, or you’re still not sure what’s wrong with it, use an on-board diagnostic code scanner to check the on-board computer for any diagnostic codes that it may be registering from the individual problems. Some auto parts stores will scan for free and provide you with the codes, but you’ll still need to look up what the codes mean yourself. This can help you narrow down the problem and determine exactly what’s wrong and what needs to be done to fix it. Maybe you’ve tried everything else and still don’t know what’s wrong. Perhaps you would just prefer to let someone else handle it. Whatever the case, if you suspect the transmission is the problem, take your vehicle to a transmission specialist. They are qualified to quickly and easily diagnose the problem, and they’ll be able to give you an estimate of the cost to repair as well as how long it will take to get the parts needed. Transmission problems aren’t something to mess around with. If you think there’s a problem with your transmission, it’s best to stop driving the vehicle until you can accurately diagnose and repair the trouble. The potential dangers of a transmission failure while driving are just not worth it. While paddle boarding can be a more relaxing sport once you’re on the water, transporting your board can be challenging. This is especially the case if you don’t have the right equipment to fasten your board safely onto the roof of your vehicle. Getting the board up top is tedious enough; having to worry about it coming off when you’re driving is simply icing on the cake. There’s also the issue of aerodynamics. Without the right rack, your board will essentially act as a parachute, potentially hurting your fuel consumption and vehicle’s handling. This is why we’ve compiled a list of the three best paddle board racks you can stick to your roof. 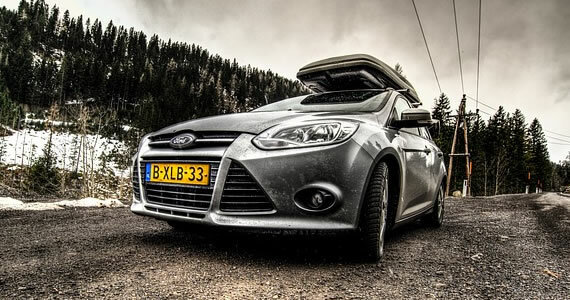 Kicking things off with something a little more heavy-duty is the paddle board rack from Thule. This American company is known for their premium, reliable hardware and the 810 is no exception. Featuring an all-steel design with support for two boards, this is your best bet if you’re looking for something that’ll survive for years to come. The 810 includes four Thule One-Key locks, which help keep your boards secure while you’re away. The Speed-Link mounting system allows you to install the rack without any tools, which makes mounting and removing this system a quick and easy process. Strange name aside, Yakima’s tie-down system features a more unique design. As opposed to the bigger, more clunky rack, the S.U.P. compromises of a simple strap design that attaches to the front and rear of your car. Don’t pass it off as flimsy though, the heavy-duty straps are capable of supporting up to 40lbs of weight. The Yakima S.U.P. also features a quick and easy tool-free installation, making removing and strapping it back on board a stress-free process. Yakima’s tie-down system is a great lightweight alternative that won’t break the bank. This versatile rack is capable of supporting up to 65lbs of weight, whether it be from a stand up board or the multitude of other equipment it can carry. Featuring a clean and simple strap design, the Inno Carrier is an ideal solution for any paddleboarder on a budget. The ratcheting system secures the rack onto your roof while the rubber coated straps reduce the strain of the weight the rack is carrying, increasing its lifetime. The concept of reliability is also seen in the rack’s build, which compromises of a rubber-coated stainless steel design throughout. It’s great to see that manufacturers have considered the needs of paddle-boarders and created car racks that are durable and easy to install. A good rack may mean the difference between enjoying a weekend out paddle boarding and accidentally shooting your board through someone’s windscreen on the highway. Now that you’ve got a good rack, it may be time to consider a better paddle board to match. Review website waveschamp.com has a variety of paddle sports gear to read up on. Now get out there and take on the water. We realize the importance of owning a vehicle, and so most of us have cars. Cars require regular maintenance and for this the spare parts are one of the most important requirements of this maintenance off and on. 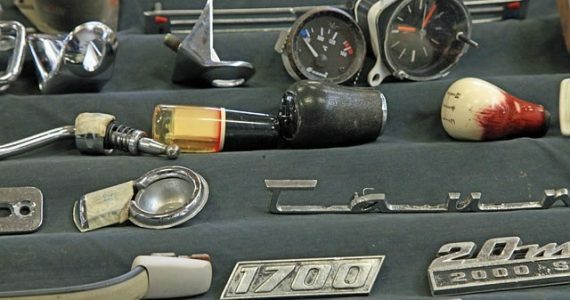 Spending on quality products and not opting used or second hand spare parts will need to be taken into account on a serious note. Trying to save on some money and only looking for used parts can lead to major spare parts which are of the same brand of your car when you need these. Many car owners tend to take the choosing of spare parts lightly and only opt for the cheaper versions of these. Not only future expenses but you need to be aware that using inferior quality of spare parts can be a risk. #1. Genuine parts are made in accordance to specific considerations of the Nissan. #2. Genuine Nissan spare parts are tried and tested. You will find that these Nissan spare parts do not face uncalled for problems once they have been opted for. 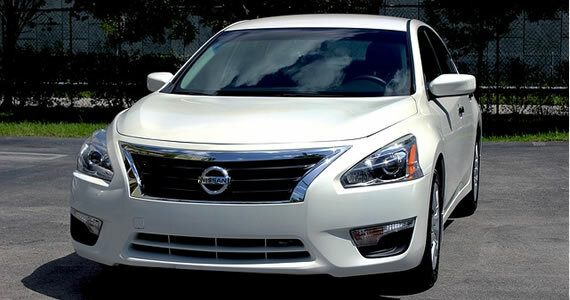 They are up to the high standards of Nissan where the performance, quality and safety factors are concerned. #3. You are provided a specific warranty in accordance to the Nissan spare parts required. Opting for any spare parts is taking a risk not only with the quality but also with the safety when you’re driving. #4. When you go for the genuine Nissan spare parts you do not face any issues with the insurance of your car. Any spare parts used in the Nissan might be problematic with the insurance. #5. The life of your Nissan increases to a large extent when you go for the Nissan Spare parts. Second hand spare parts which are not genuine can damage the other parts of your Nissan. This may then lead to a lot of inconveniences and huge expenditure. These tend to also affect the performance of your Nissan. The sub standard parts are made in a cheap manner; they are not able to reach the standards of the industry. These might serve the purpose for a short time but will definitely affect the engine’s performance in the long run. There might be break-downs more frequently. This leads to expenses which are not required. As mentioned earlier, parts which are not genuine tend to damage your Nissan. This leads to more replacement of the different parts of your Nissan. Oil Filters: This valve ensures good pressure of oil especially when you start your car. Oil filters without this valve can be damaging to the engine as grime and dirt can easily settle. Brakes: Cheap brake pads are made of metal. As this is hard it leads to the wear and tear of the pads and the shoes much faster. This causes a hindrance to the performance of your car while braking. Ignition Parts: Ignition parts which are not genuine might be deceptive. You cannot judge the difference between the original and the counterfeit ones easily. It is the internals that makes all the difference. Batteries: A counterfeit battery might be cost-effective option but you need to know that these tend to have lower amps of cold-cranking. Online search for specific Nissan spare parts is convenient and easy. There are multiple suppliers of these parts listed here. Going through the different reviews and ratings can help you in making the right choice of the Nissan spare parts suppliers. This post is written by Joseph Webb. Joseph is an excellent blogger and philosopher. His keen observation to provide useful information which helps readers to get more ideas. He can be found on Facebook and on Twitter as @aussiesmag. 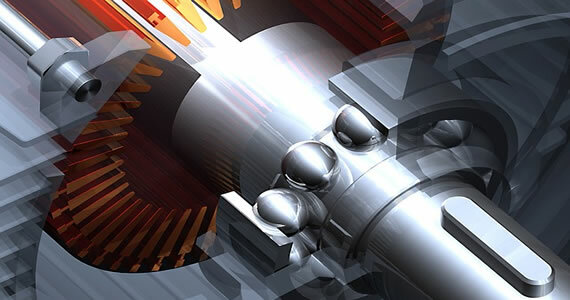 Automotive engineers continue to push the envelope when it comes to speed and power. Car and truck engines are consistently pumping out greater power with less fuel and redesigned engine blocks that rip the open road. So let’s take a look at four engines hitting the streets today that will leave you absolutely speechless. The 2016 S Coupe has something truly remarkable under the hood. 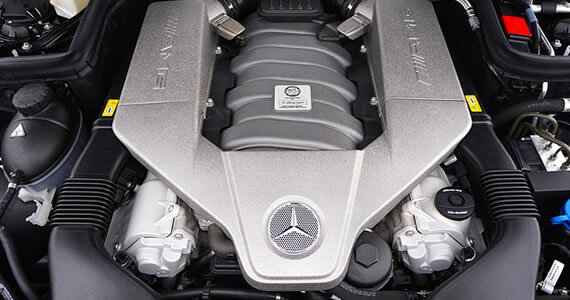 The 5.5 Liter, AMG Biturbo V8 is a lot of engine for a sporty, little crossover SUV. It puts out 577 horsepower and 561 lb. ft. of torque. There aren’t many crossover SUVs on the market that can compete with that much get-up-and-go. The Biturbo V8 is well-managed by a 7-speed Speedshift AMG transmission that helps it get from zero to 60 in just 4.2 seconds. It’s a customizer’s dream. From speed we go to raw power with the 2016 Dodge RAM 2500 and its 6.4 Liter HEMI V8. The HEMI V8 in the 2500 has best-in-class horsepower and all the torque you need to tow and haul with the big boys. Surprisingly, it’s not a gas-guzzler either. It’s got fuel saver technology that shuts down cylinders for downhill driving and long bursts at cruising speed. It’s really a throwback to old Mopar engines that used to do the same. It’s built to be durable, with stainless steel fasteners, exhaust gaskets and sodium-filled exhaust valves. Next, let’s take a closer look at one of Car and Driver’s 10 greatest engines on the market today. It’s the 3.0 Liter inline-6 that’s currently featured on the BMW M3 and M4. It’s a specially-designed twin turbo that boasts 425 horsepower and 406 lb. ft. of torque. It has a forged-steel crankshaft and a closed-deck construction. The oil pan is made of magnesium and the cylinder bore surfaces are constructed from iron plasma. With the available laptimer app you can analyze your own driving speed like the racers do. With a Power Test Inc. dynamometer, you can figure out if you really are getting 143 horses per liter, as advertised. Last but not least, the 2016 Ford Explorer Sport has a fast and fuel-efficient engine underneath it’s hood, as well. This new offering from Ford is a 3.5 Liter EcoBoost V6 with all-wheel drive and twin turbo. The direct injection, variable valve timing design gives you V8 power on less gas. Its no wonder that Edmunds.com gave it a 4 Star rating. These aren’t supercars; they’re vehicles the average driver can afford. Yet, the engines that power them are well-designed and fuel-efficient. There are less naturally-aspirated engines on the market though as the reign of turbo continues to rise. Yet, there’s still something out there for everyone.